“Staying focused on personal safety is never more important than during the months of November and December,” according to Hernando Sheriff Al Nienhuis. HERNANDO COUNTY – For many of us the holidays are a very busy and festive time of the year. They are a time when we find ourselves shopping and decorating and even planning a joyful holiday gathering for friends and family. Criminals, unfortunately,know this all too well and are preparing just the same, Hernando Sheriff Al Nienhuis said. “No one looks forward to the holidays more than criminals. Unfortunately, it is also a busy time for those businesses and organizations that respond to tragedy,” Nienhuis said. “Please don’t let the holiday season distract you into becoming a victim of a crime or other tragedy. Staying focused on personal safety is never more important than during the months of November and December,” Nienhuis said. 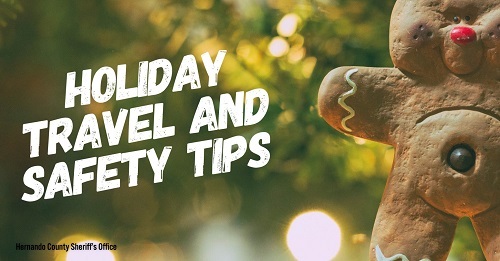 Nienhuis offers these holiday travel and safety tips to help residents have a safe and enjoyable holiday season. Keep a pan lid or a baking sheet nearby. Use it to cover the pan if it catches fire. Cold temperatures can cause serious health issues, especially in infants and older adults. 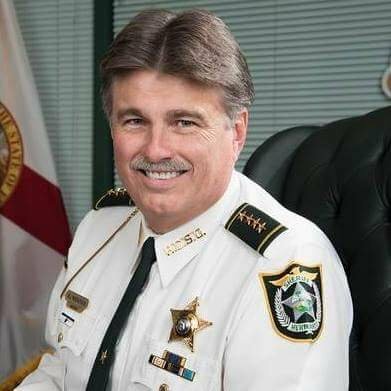 "Staying focused on personal safety is never more important than during the months of November and December," according to Hernando Sheriff Al Nienhuis.